Find the right tour for you through Samagaun. We've got 26 tours going to Samagaun, starting from just 13 days in length, and the longest tour is 26 days. The most popular month to go is April, which has the most number of tour departures. "I used Peregrine Treks for Everesst circuit Trek in March 2016 and Manaslu circuit..."
"We have been on two trips with Outfitter Nepal. 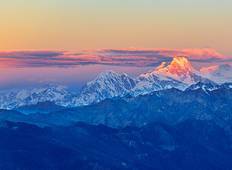 On both occasions we had a private..."
"As I know Manaslu circuit trek is one of the hardest trek in Nepal. It was winter,..."
"I was recommended the name of Sherpa Expedition and Trekking by one of my friends..."
"Beautiful trek, great organisation, excellent, helpful and cheerful guide." "Thank you, it was excelet experience. We had no problem and we realy enjoy the time...."
"I trekked the Manaslu circuit over 13 days with my girlfriend. Our guide, Ananda..."
"My one friend and I used Peregrine Treks for the Manaslu Circuit in November and..."
"A great adventure to the Manaslu region. 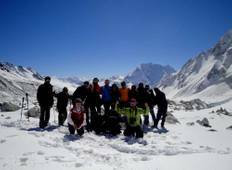 Asian Heritage made the best trip planning..."
"The Manaslu Circuit trek was amazing, everything was organized and the world very..."
"Best trip ever. First time in 5k meters. Our guide Kamal was not know it all, tank..."